We are exactly 100 days away from opening ceremonies for the Summer Olympics in Rio. For Bay Area athletes that means more training and perfecting performances. 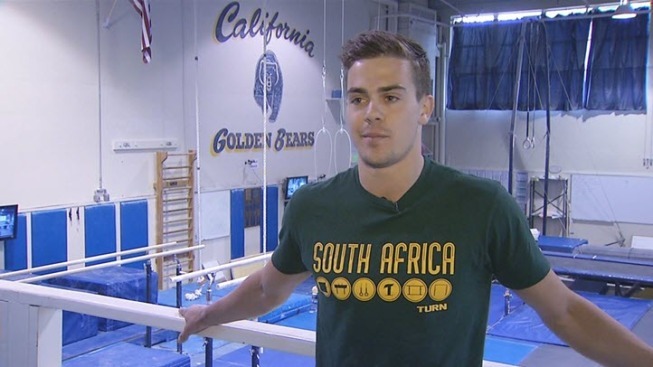 No one knows that more than a University of California, Berkeley gymnast who just found out he will represent his native South Africa at the games. Ryan Patterson said going to the Olympics feels surreal, especially since he has dreamed of becoming an Olympian ever since he was 3 years old. The UC Berkeley senior is the entire Olympic mens gymnastics team for South Africa, making him the first man from his country to qualify for the team in more than 50 years. "I was extremely excited," he said. "It just made everything worthwhile that I have been training for during the past 18 years." Patterson is an all-rounder, which means he is planning to compete in six events during the Summer Olympics in Rio in a sport where the bar is set higher than ever before. He is training more than five hours a day preparing for the games. "When before a single flip was considered good, now athletes are doing a triple flip," said J.T. Okada, an assistant coach for Cal's men's gymnastics team. "And when double twists were good, now they are doing quadruple twists." Patterson was born in South Africa, but grew up in Pacifica and graduated from Terra Nova High School. He said his favorite event is the high bar. "It is the most challenging and pretty scary," Patterson said of the event. "It really gets your heart beating, but it's also fun."